I was so pleasantly surprised by Cinder, I can barely wait till Scarlet. Luckily the wait isn’t too long now. I’m a bit scared though, with the introduction of Scarlet and Wolf that the focus won’t be on Cinder and Kai as much anymore… Only one way to find out though! Love this series! Can’t wait to see how this one is pulled off! Yes! So creative… I can’t fathom what they’ll do with the Red Riding Hood fairytale to integrate it into the sci-fi world… Just can’t wait! I’m reading Cinder this weekend and then I’m sure I’ll be even more anxious to read the sequel. Great picks and thanks for sharing. I keep seeing this one, I think I really need to read Cinder soon. Great pick. Haha, you definitely should! Cinder was so good, it really surprised me though because the concept sounded really risky. Thanks! Yay! Thanks! Just one more week to wait! I cannot wait for this book!! I need it now! Just one more week! We can make it!! 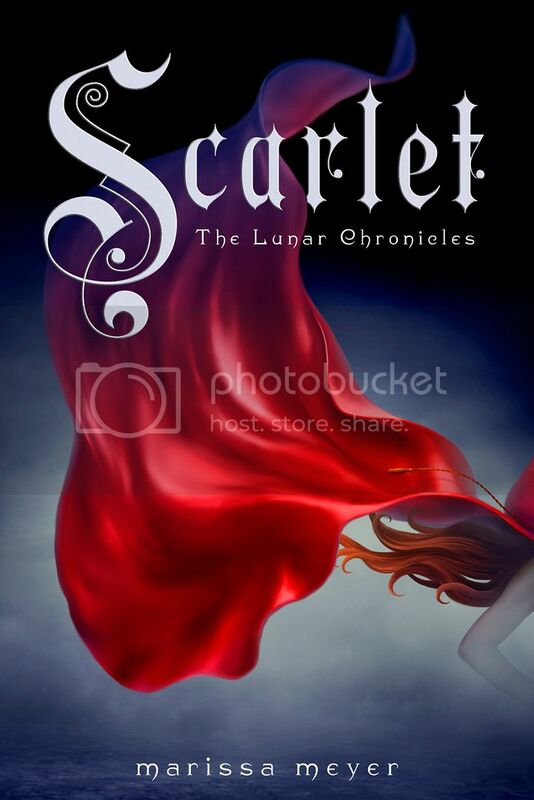 I adored Cinder and I also really loved Scarlet. I hope you enjoy it. Great WoW pick! Ohhh you’re one of those lucky ones! I’m so jealous 😛 But yeah, I keep hearing great things, so I’m pretty sure I’ll like it 🙂 Thanks! I’m very excited for this one too… all the teasing from the people who have read hasn’t helped LOL Great pick! Hahaha, I agree! It’s so mean. I just keep seeing reviews, and now the blog tour… Torture! Oh well, one more week! Thanks! Yes!! The ARC reviews are all so enthusiastic about it.. ugh, torture to keep seeing them pop up. I LOVED Cinder and cannot wait to get my hands on this either. Isn’t the cover just gorgeous?! Yay! I feel the same, I can’t wait to see a sci-fi Little Red xD It’ll probably be just as imaginative, unique, and great as Cinder, if the ARC reviews are any indication. I still need to get to reading Cinder! I’ve heard nothing but amazing things, and apparently this one is awesome, too. I just think I’ll wait until this is released, as Cinder supposedly ends in a huge cliffhanger. Great pick, Debby! Haha, yes! It really is a creative and original awesome story. I didn’t think the cliffhanger at the end of Cinder was too bad, it made sense and fit the story, but it might be nice indeed to just be able to power through both books 🙂 Thanks!